This week, we’re interviewing Brent Wesley, beekeeper and owner of Akron Honey Company and men’s care products brand. 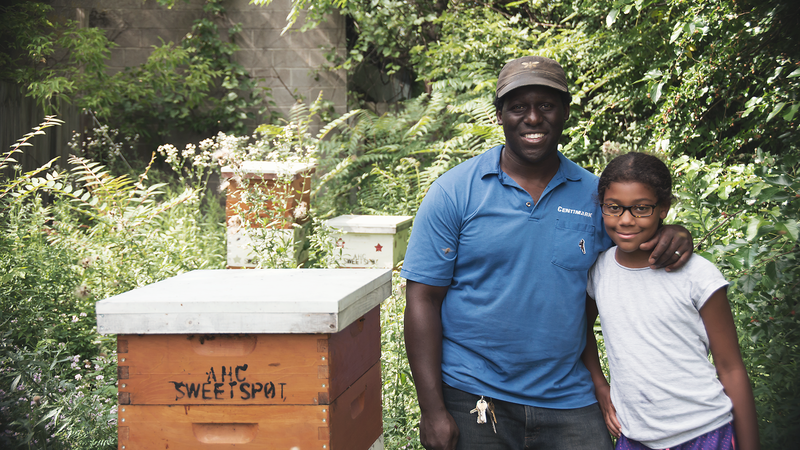 Wesley is an entrepreneur who learned beekeeping from the ground up with the help of some great mentors. 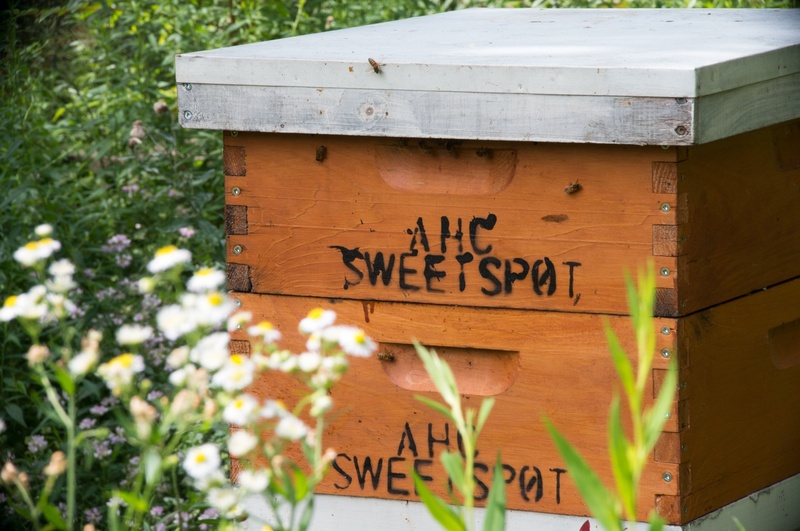 He built his own hives from kits and uses a smoker, honey collecting tools, and jars to package his products. If your brand sells to beekeepers or food artisans, this 1-on-1 interview with Wesley will give you some important insights to help you reach makers like him. I’m Wesley, and I started Akron Honey Company. Urban honey and men’s personal care – that’s our niche. It made sense after I got acquainted with how to small batch harvest, how to keep bees in a different way than a lot of folks keep bees, and how to harvest in a way that really no one else harvests. Falling in love with that process is what transposed over to the skin care. It was accidental. They say your business is literally an extension of you, and it makes sense where I’ve ended up because I love people, I love bringing people together, and I love engaging people in difficult conversations like gender, race, and inequality, and the events I run tackle those things. What's your harvesting process like? First, you get the bees and you make sure that you’re not feeding them sugar water or anything. This area produces a lot of nectar, so they have all that they need there. I can see what they’re engaging with and what they like and what they’re feeding from, so I know what’s coming back to the hive. There are hundreds and hundreds of plants that they’re feeding off of, so I get a good cross section of the different ones. I know what I’m tasting when I taste our honey – the actual ingredients. The flower is a full source and thats the ingredients to the honey. 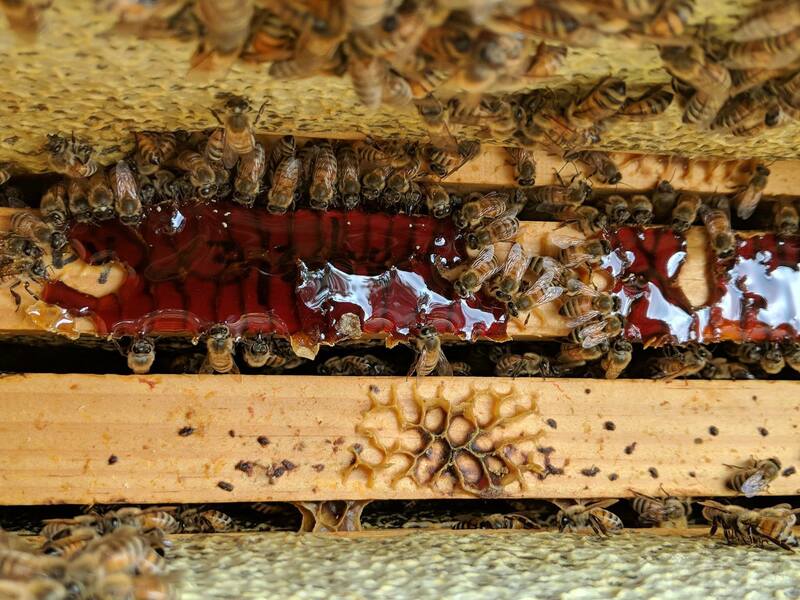 To harvest, just scrape the top of the wax cappings, which reveals the honey. I am hand cranking all that stuff out, and from there it goes into a bucket. I wait about five to six days before I even touch the honey because all the sediment and wax cappings come to the top. That allows me to not have to strain or filter, so thats another element of quality that I use. From there it goes to a jar, and that’s it. It’s crazy because it’s not economical to harvest honey in small amounts because it takes too much time to make sure that you’re not mixing anything together, but I got good at it. 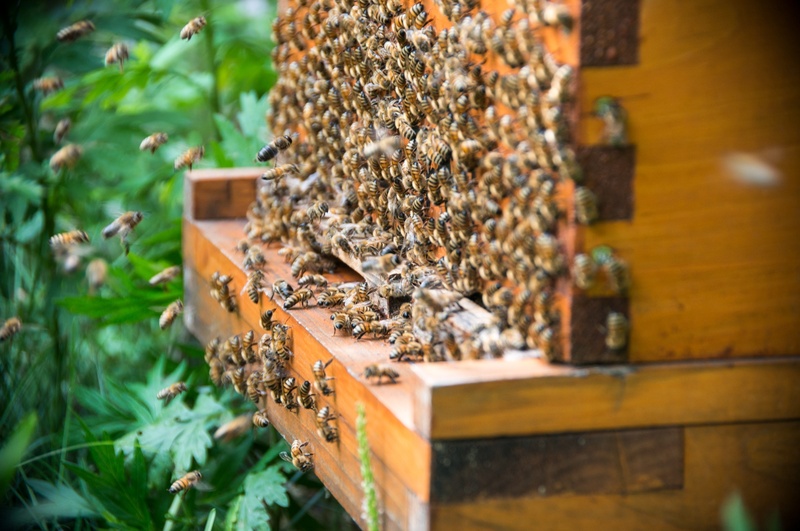 How did you get started with honey bees? I have been doing this since 2013. This was just a vacant lot, just grass. I was driving to work everyday, and I thought, “I want to see about that. I like that.” It was on Zillow for a good price and so I went ahead and bought it. I didn’t know what I wanted to do with it. I wanted to do something for the community, whether it was urban farming, community garden, or whatever. Then someone mentioned bees, and I was like “nah.” It took me about a week to decide I was going to do it. Then it took me another few months to research it heavily. I didn’t even want to start a company. I just wanted something cool for my neighborhood, and then I wanted to never have to buy honey again, which worked. Where do you find support for what you're doing? About six months into me buying the lot and putting up the beautiful fence, people started hearing about what I was doing. They asked, “Okay, whats behind this fence?” and I’m like, “Yo, they’re honey bees,” and everyone said, “When you get honey, let me know and I’ll buy some.” So Akron Honey Company was born, and people continued to drive the transformation of what I was doing. Then schools started hearing about what I was doing, and they asked, “Hey, can you come and talk to our class about honeybees,” and I’m like, “Sure!” So I started visiting schools, girl scouts, boy scouts, Akron Boys and Girls Club. We were also on the LeBron James TV show for small businesses, and it was awesome. How do you interact with other makers? About a year after I started, I decided to do Akron Honey Company Market Day. The first time around, I retro-fitted a retail space right inside the gate. About 150-200 people came through, and people were buying honey all day. The next year, I needed to make this bigger and better, so I did two pretty important things: 1) I decided to expand and get another vacant lot on the eastern side of Akron, and 2) I took this Akron Honey Company Market Day and shut down the street here and all these real cool, hip businesses started filling in the spaces – folks I knew and hand picked. The crowd grew from 200 to almost 600 people over four hours. I realized it’s an open air social market and a conscious way for anyone to shop small and be social. In addition to having regular general market, I’m branching off and doing branded markets. You’ve got the women’s market, so nothing but woman makers. You’ve got refugee markets, so nothing but them. You’ve got black markets, so nothing but black entrepreneurs. I’ve seen that people really want that and have been waiting for it. We’re socially conscious; I wouldn’t say we’re a social enterprise, but I guess we are. When you need to learn more about what you're doing, where do you turn? It depends on what I want to learn. If it’s a honeybee question, I’ve got a few people in the community, other bee keepers around here, and I just ask them. If it’s something having to do with skincare I have a friend I hit up, and she’s amazing. We have a very good friendship, and typically people would pencil it in on some sort of contract, but we just help each other out a lot. There is a laundry list of people that have helped, who I can go to for advice. What kind of tools do you need to do what you do? First I needed hives, and I built them myself. They come in kits and you just put them together. You don’t really need to be very skillful to do it, in my opinion. I need my smoker to control the bees’ communication, and I need my hive tool. Bees collect this resin from pinecone-bearing trees, and they create something called propolis that’s anti bacterial, anti-fungal, anti-viral. They seal up the hive with that stuff, and it’s hard to get the hive apart without a tool. Then, I need an extractor. There are so many different kinds of extractors. There are ones that are fully automated, but I use a hand crank, mainly because that’s the first kind I had, but it also allows me to pay attention to detail. I also need my jars and lids and labels. How do you decide what tools or products to buy? I wanted someone local because I wanted to reduce the cost of getting it to me, but I also wanted something that was high quality or something that is perceived as high quality. I use thick glass, not plastic. It’s kind of like an alchemy, harvesting batch by batch, so the packaging, the label, has to reflect that alchemy so it looks the part. What kind of problems or challenges come up for you? There’s a serious learning curve with beekeeping. I’m three and a half years into this, and I’m still trying to get a good rhythm down. It’s also the backend of the business, the book keeping and the strategizing, what tactics should I use, what avenues should I go down – it’s all these little micro challenges. Now I’m in a better place because I took the time to learn how to do those things. Another challenge was that everyone knew us as an urban honey company. My new challenge is shifting that mind set to include men’s personal care and making it relevant. It’s kind of like we are a hammer store and now we have ice cream. You want to make sure they blend in a way that makes sense. But it’s also an advantage because that’s going to set us apart from other companies. Also, this is a very liberal, progressive community, but recently the city kept cutting my grass and charging me for it. I called my councilman, and he said someone logged a complaint about the yard. I guess that’s a good thing because there’s a reason for someone to try to take me down, but that’s been a little bit of an issue. Everything with us has got to be telling a story. It can’t just be some extraneous, random post, or if it is a random post, it better be building on some story that builds to our brand, builds our perception, and builds our audience. I use social media to let the folks know the story, to let folks know about the market, and let folks know about when the next batch is coming out. It’s sending messages, listening, getting feedback, and engaging. What's the most rewarding part of what you're doing? I really feel like I haven’t gotten there yet, but I know what its going to look like. Right now, the most rewarding part is being able to use this formerly vacant space and turning it into something thats beautiful, something that’s value added and has a proven economic impact. With the markets, I am able not only show off this neighborhood but give the people in this neighborhood something to be proud of. That makes me really happy to see everyone coming together. Two Market Days ago, the guy that grew up in this house by my lot was here. He’s about 80 years old and he was just giving me the details of living here. He said, “This is a great thing you’re doing.” While my company could be looked at as making money off of the neighborhood, hearing people say it’s good for the people in this community is great. In the future, what’s going to be most rewarding for me is going to be over time, however long that is whether its a year or two or three, people looking at us and thinking we’re a socially aware company – that is, a company with integrity, with transparency, with authenticity. That’s what I want to grow up to be like.